For further information visit the page for Planning Commission Meeting at http://www.tpcg.org/index.php?f=planning_commission&p=minutes. The Houma-Terrebonne Regional Planning Commission meets on the third Thursday of every month at 6:00 p.m. in the Terrebonne Parish Council Meeting Room. The meeting room is located in the Government Tower, 8026 Main Street, on the 2nd floor. The Commission convenes first as the Zoning and Land Use Commission and convenes as the Regional Planning Commission immediately following. The deadline for placing items on the agenda is generally seventeen (17) days prior to the meeting date. Description: HTRPC - Zoning & Land Use Commission - March 21, 2019. Description: Houma-Terrebonne Regional Planning Commission - March 21, 2019. Description: Houma-Terrebonne Regional Planning Commission - February 21, 2019. Description: HTRPC - Zoning & Land Use Commission - February 21, 2019. Description: Houma-Terrebonne Regional Planning Commission - January 17, 2019. Description: HTRPC - Zoning & Land Use Commission - January 17, 2019. Description: HTRPC - Zoning & Land Use Commission - December 20, 2018. Description: Houma-Terrebonne Regional Planning Commission - December 20, 2018. Description: HTRPC - Zoning & Land Use Commission - November 15, 2018. Description: Houma-Terrebonne Regional Planning Commission - November 15, 2018. Description: Houma-Terrebonne Regional Planning Commission - October 18, 2018. Description: HTRPC - Zoning & Land Use Commission - October 18, 2018. Description: HTRPC - Zoning & Land Use Commission - September 20, 2018. Description: Houma-Terrebonne Regional Planning Commission - September 20, 2018. Description: HTRPC - Zoning & Land Use Commission - August 16, 2018. Description: Houma-Terrebonne Regional Planning Commission - August 16, 2018. 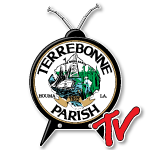 Description: Houma-Terrebonne Regional Planning Commission - July 19, 2018. Description: HTRPC - Zoning & Land Use Commission - July 19, 2018. Description: Houma-Terrebonne Regional Planning Commission - June 28, 2018. Description: HTRPC - Zoning & Land Use Commission - June 21, 2018. Description: Houma-Terrebonne Regional Planning Commission - June 21, 2018. Description: Houma-Terrebonne Regional Planning Commission - May 17, 2018. Description: HTRPC - Zoning & Land Use Commission - May 17, 2018. Description: HTRPC - Zoning & Land Use Commission - April 19, 2018. Description: Houma-Terrebonne Regional Planning Commission - April 19, 2018. Description: Houma-Terrebonne Regional Planning Commission - March 15, 2018. Description: HTRPC - Zoning & Land Use Commission - March 15, 2018.